Review this month's training schedule displayed to the left. Click on each training title to learn a little more about the topics covered for that session or add it to your personal calendar. IMPORTANT: Please note that all training times are Pacific Standard Time (PST). 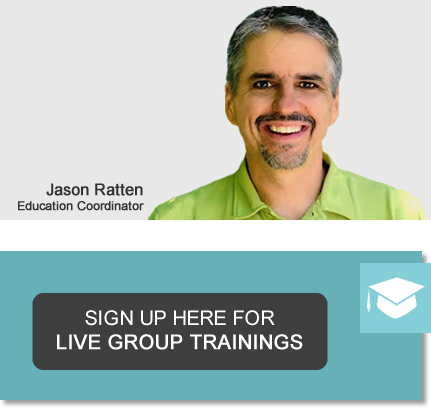 When ready, click the Sign Up Here for Live Group Trainings button above to get started! Can't find a time that works? Check out our library of recorded training sessions. Click on one of the topics below to get started.